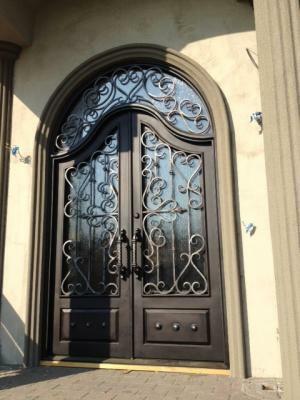 With the holiday season, Signature Iron Doors has seen a large influx of new customers seeking decorative iron products. Leading the iron work industry, we have prepared our showroom to meet all our customers iron needs. Every individual style can be met with one of our innumerable designs. Our welders have been working around the clock to keep all sizes stocked for every iron need this season. Our technicians have been traveling across the valley delivering and installing doors, so everyone can have their perfect gift for the holidays. 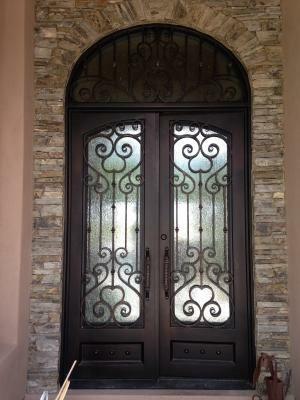 These are a couple doors they recently installed in Paradise Valley Arizona. For all your holiday festivities, Signature Iron Doors will exude the perfect welcome to your guests. With 14 gauge steel and hand forged scroll work, your home will be enhanced in security as well as beauty. Call us and come visit our showroom in Phoenix Arizona to meet with a sales representative to have your iron needs fulfilled.